The NFL has released the preseason schedule for the 2013 season. 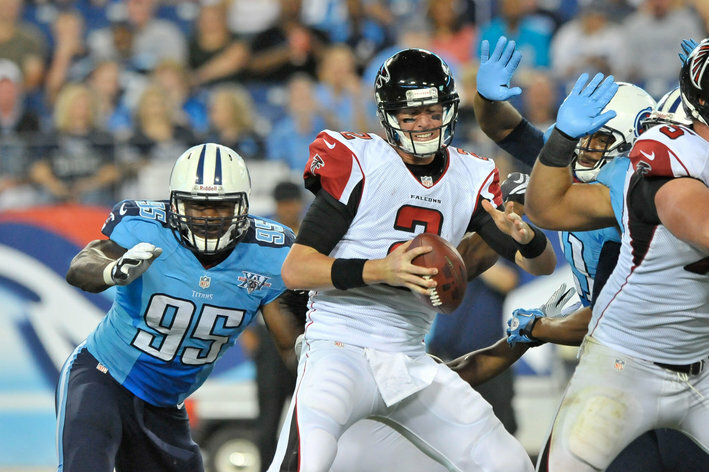 With the exception of the Titans, the Falcons faced these opponents in preseason last year. As expected, the Falcons take on both the Jaguars and Ravens. Although the Atlanta Falcons fell to the Baltimore Ravens 31-17, the first-teamers looked sharp. It was everything Falcons fans have wanted to see from this team: an aggressive offense that picks up yardage in chunks and stifling defense that gives the opposing offense nothing. Now, I know it’s only preseason, but these games do matter; they just don’t count. And thank goodness they don’t count, because the Falcons backups are mighty close to being abysmal. Their horrific performance would have cost the Falcons a win in the regular season.